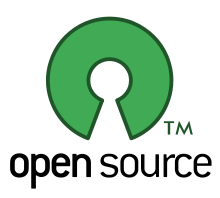 Anyone can get and modify open source codes! How? Here, in this very blog you can find out how to do it. Fullmetallinux is a an Open Source Database which has all the information that you want to learn about Open Source and cares to enlighten you about it. In this database, you can also find out how to reach Open Source softwares and particular info about these channels not only with written information, but also with visual elements. Fullmetallinux, is for anyone who wants to find out how to reach and use the information in a free and clear way.